Spectrum Research offers website development in the Nashville, TN area. We'll work with the graphics artist you select to build a site that produces results and gets noticed by the search engines. And with years of experience building secure database driven web applications, we can make your most complicated vision become reality. Some of the companies that Spectrum Research has provided web site development services to are listed below. 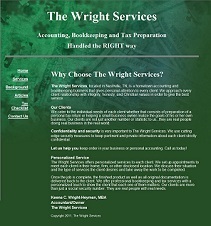 When The Wright Services needed a simple new website, we helped them with some very basic Search Engine Optimization. 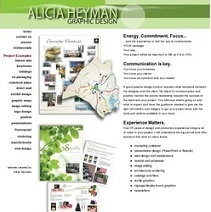 Alicia Heyman Graphic Design is a local graphic design site here in Nashville, TN. Over the years, they've done many different graphic designs for us and other leading companies. We worked with them on web server optimization for their site. Visit Alicia Heyman Graphic Design. eTransX is a rapidly growing software and services company providing comprehensive solutions and professional services related to information technology for commercial and industrial enterprises as well as federal, state and local governments. eTransX specializes in enabling and facilitating Enterprise Application Integration (EAI), providing Health Level 7 (HL7) messaging solutions to Healthcare related enterprises, and integrated Business Intelligence (BI) executive dashboarding and decision support solutions. When eTransX sought to increase their internet exposure and search engine visibility, the called upon Spectrum Research, Inc. to utilize our proven keyword research and search engine optimization techniques. 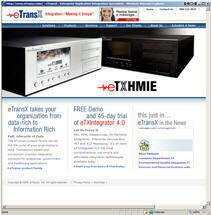 Spectrum was able to define a strategic content development strategy for eTransX, provided a simple site content management system framework to ease site development, and has conducted a number of SEO audits for the eTransX website - all leading to increased relevant visitor traffic to the eTransX website. The Roth Law Group is a Chicago law firm serving the legal needs of small business in a variety of matters ranging from General Legal Counsel to Commercial Litigation civil litigation, small business litigation, and other attorney legal services. 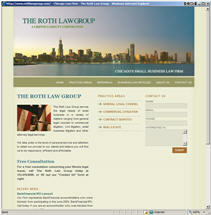 When The Roth Law Group approached Spectrum Research, they already had an attractive dynamic website. However, Roth sought an improved search engine presence. Spectrum Research was able to rewrite the Roth Law Group website to use improved SEO techniques that let the search engines understand more about what the Roth Law Group web site is about, and provides ongoing strategic content development direction, leading to currently improving organic visitor traffic and search engine rankings. Visit The Roth Law Group. 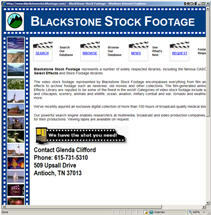 When Blackstone Stock Footage needed a searchable website for their library of more than 80,000 stock video footage clips, Spectrum Research, Inc., was able to develop a reliable, expandable platform for them to manage all of their data. The site is built using classic .ASP, and uses a SQL Server 2005 database. The back-office management system for the site was developed using our ParaCoder® parametric code generator. 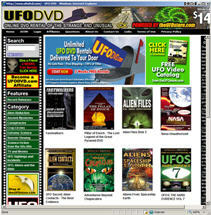 When theUFOStore.com needed an online dvd rental system to give them the ability to rent their large stock of UFO Videos, Spectrum Research was able to customize our VidRent video rental system to suit their needs. VidRent is built using classic .ASP and uses a SQL Server 2005 database. The back-office management system for the site was developed using our ParaCoder® parametric code generator.